On September 14th, the blockchain game HyperDragons ushered in another milestone mark – Layer 2 technology scaled Rocket Arena. The Layer 2 solution solves the blockchain games underlying “slow” and “expensive” transaction problems. With the adoption of the solution in HyperDragons Rocket Arena, users are participating in the arena without waiting for long stodgy confirmation and hefty transaction fees. The polished gaming experience and the improved transaction processing resulted in a significant increase in user volume and daily active users. This technological update proves Layer 2 scaling technology’s usability from just being a theoretical concept. It would be a fungible solution that can be well executed in a mass adopted large-scale blockchain game. 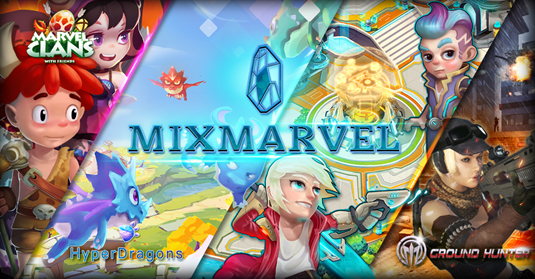 The milestones have encouraged the HyperDragons parent team – MixMarvel to further break through the blockchain bottleneck and drive masses into blockchain games. The team MixMarvel is launching its same name “MIXMARVEL” gaming platform to further this milestone and expand what blockchain has to offer in gaming entertainment. Furthermore, the scaling solution is conclusive evidence of Layer 2 Scaling solution is ready to take on serious transactions. The bottleneck of the blockchain transaction processing is a significant gap that hinders mass developed games and users. Few teams’ developed games are interactive enough to attract handful users. Developers choose to compromise on gaming experience due to the technology barrier, but HyperDragons do not. The HyperDragons, with a deep understanding of this bottleneck, realized the importance of gameplay content and user experience. In order to adhere to the gameplay, they take the initiative to try to solve this problem from the root. The MixMarvel team has been a pioneer in breaking through technical barriers and lead the industry towards development. Together with American team Binary Mint that works on Layer-2 scaling solution, in just two months, it supported turning Binary Mint’s Tenfold Protocol concept into an applicable solution and first demonstrated in HyperDragons Arena. MixMarvel decided to use Binary Mint’s Tenfold Protocol even when it was a concept. Closely working with Binary Mint, MixMarvel injected fundamental understanding in blockchain games, the crypto economics design and the future commercialization of Layer-2 solution. In the original intention of realizing the popularity of blockchain games, MixMarvel’s application of Tenfold Protocol is a stable and credible expansion solution. While maintaining the decentralized nature of blockchain games, the game can be run at lightning-fast speed. 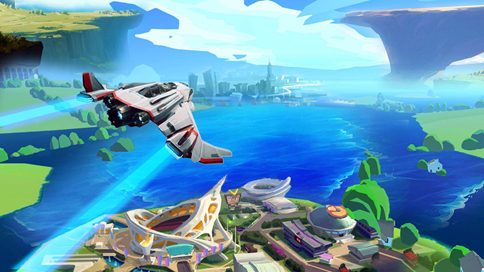 The Rocket Arena proves that improving blockchain game user experience will lead to more active players participate in blockchain games. MIXMARVEL is a community and content sharing platform where blockchain enthusiasts can create their content and interact with peers. With gamification and abundant supply of blockchain games, no matter you are a veteran blockchain expert, an early adopter or newly joined enthusiast, you can enjoy what blockchain and decentralization have to offer in a fun and engaging community. The community involves a better gaming economy, much more freedom to create, design and set rules and more reliable delegation of rights and better track of content distribution. Aforementioned development strategies will render Mixmarvel as a pioneer in popularizing blockchains mass adoption and devise a true decentralized game ecosystem.